Click on the blue Get on Google button. If you already have a Google account and are logged in, the new profile will be attached to your existing profile. If you are new to Gmail or Google Plus, then you should set up a new account. DO NOT REQUEST THE VERIFICATION CODE YET! You need to set your business details up first. If you request the verification code first, and then set up the business address, the verification code will be cancelled. Google now will ask you to verify your business. DO THAT LATER So click 'Verify Later' at this point. Put in your business details first and then select 'Verify Now ' when everything is set up. You will now be taken through to the business profile setup. Click the 'Get Started' button to start setting up the business profile. Throughout the setup area you will see buttons saying 'Verify your business'. Once you have set up all your business details and are ready to go, only then click on a 'Verify' link. I opted for the postcard. For most businesses this will be the only option available. Do NOT change any business details in your listing, especially the address, until you get the postcard and verify the business. If you change details on your listing after asking for the verification postcard, that postcard will be cancelled, and you will have to ask for another one. This is the confusing part of this whole process. If you ask for a postcard it will turn up about 4 days later. Open up the letter, and go to google.com/verifymybusiness. You will then get a screen that allows you to enter the verification code. If this screen does not come up, your verification code was somehow cancelled, and you will have to ask for another one and wait 4 more days. Once you enter your verification code correctly, your account is good to go. You can go in and update the details again and add more pictures. 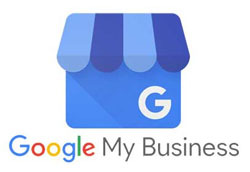 The information that you set up on your business account will become available in Google search results and your clients will be able to find you more easily. This will not happen instantly. Google does not move that fast. It is indexing and crawling millions of websites. But we have noticed much better SEO results for our Rangs website around 4 months after setting up our Google Business account. If you need help with any of the above contact us and we can help you set this up.